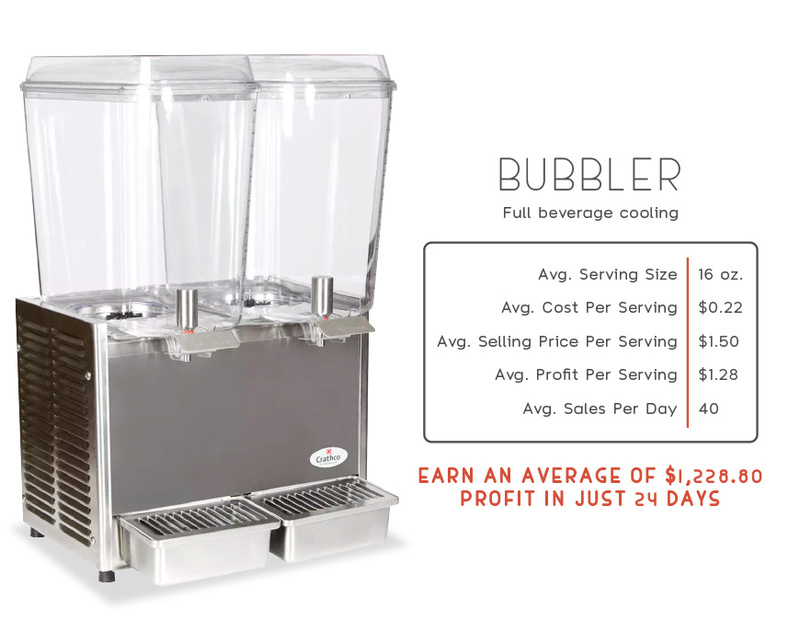 For durability and simplified cleaning, the Crathco D25-3 Classic Bubblers™ pre-mix cold beverage dispenser from Grindmaster-Cecilware has stainless steel panels, and operators can display and serve drinks from two 5-gallon polycarbonate bowls. Measurement markings along the side of the bowls let employees accurately mix drinks and monitor how much product is left. To lessen downtime during business hours, the bowls can be removed individually for cleaning and refilling product. 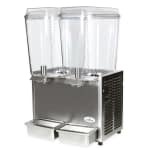 In addition to offering two different flavors, the Crathco D25-3 cold beverage dispenser's bowls are equipped with traditional spray circulation and agitators that can be used with tea and other products that might foam. Push levers dispense the drinks, while stainless steel drip trays catch any spills that may occur. The dispensing area can fit cups as tall as 8.25 inches. 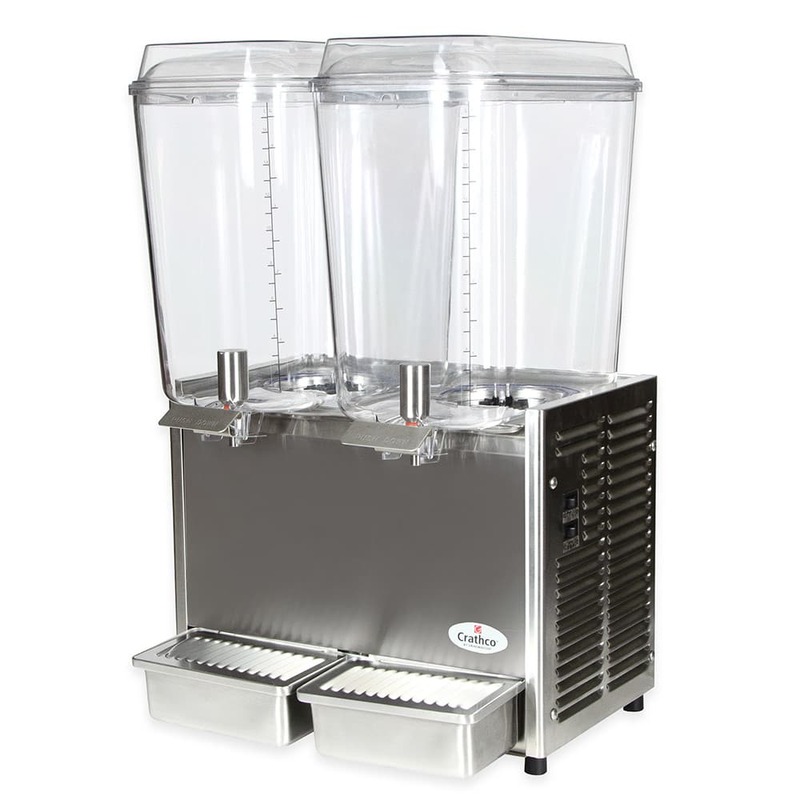 Our juice machine buyers' guide breaks down the features of units like this. "I purchased this unit for a nursing home. It has been a huge hit! Great quality & worth the money." "I ordered this product for a nursing home and it is better than expected. Well constructed, quiet, eye catching, and my residents LOVE it! Highly..."
"I ordered this product for a nursing home and it is better than expected. Well constructed, quiet, eye catching, and my residents LOVE it! Highly recommend this beverage dispenser."